National Health Services contracts junior doctors ( doctors below the consultant level) for a 7am-7pm, Monday to Friday shift, with extra duty time being paid extra. However, this year the government while proposing an 11 percent hike in the basic pay is planning to increase the regular duty hours to 10 pm excluding Sunday. 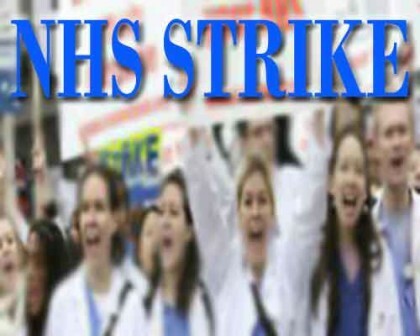 This move is directed towards, Health Secretary Jeremy Hunt’s goal of providing 7 day NHS. The proposed contract has not gone well with the British Medical Association and more than 50,000 junior doctors working in the NHS who assume that this move will reduce their earnings by atleast 30 percent. As a result have threatened to go on strike in the month of december after a vote of ballot. If voted in favour of the strike, the doctors plan to strike on December 1, 8 and 16.While the 1st december strike will see junior doctors providing emergency care, the following two d-dates will see an all-out strike from 9am-5pm. Currently it seems like the health Secretary and the doctors led by a BMA have locked horns with neither parties willing to cave into each others’ demands. With the talks failing, the government has said that it will impose these contracts from August 2016. Doctors have been since out on the streets and protesting the said move with strong vehemence. While the country is still divided with people supporting both sides, it seems like the strike is inevitable and will have repercussions on the patients on the designated three days.